Astronomers are true forms of galaxies 11 billion years back in time. Hubble sequence along the history of the Universe. Astronomers have used observations from the Hubble survey to explore CANDELS sizes, shapes and colors of distant galaxies during the last 80% of the Universe’s history. In the universe galaxies today have a variety of different ways, and are classified through a system known as the Hubble sequence and it turns out that this sequence was already in place as soon as 11 billion years ago. Sequence Hubble classified galaxies according to their morphology and star forming activity, arranging them in a cosmic zoo spiral, elliptical and irregular shapes with rotating arms, fuzzy halos and bright central protuberances. Two main types of galaxies are identified in this sequence: elliptical and spiral, with a third type, lenticular, settling somewhere between the two. This accurately describes what we see in the region of space around us, but how to change the morphology of the galaxy as we look further back in time, when the universe was very young? Astronomers used Hubble to observe 11 billion years in time when the universe was very young, exploring the anatomy of distant galaxies. Although it was known that the Hubble sequence was met about 8 billion years ago  ago, these new observations push 2,500 million years back in cosmic time, covering a whopping 80% of the past history of the universe. Previous studies had also come to this time of the cosmos to study low mass galaxies, but none had examined conclusively large, mature galaxies like the Milky Way. CANDELS new observations confirm that all galaxies so distant – both large and small – fit into the different classifications of the sequence. “This is the only comprehensive study to date of the visual appearance of large, massive galaxies that existed at the time,” says Arjen van der Wel, co-author of the Max Planck Institute for Astronomy in Heidelberg, Germany. “The galaxies appear unusually mature, which is not predicted by models of galaxy formation such as that from the beginning in the history of the Universe”. Galaxies in these earlier times seem to be divided between the blue star-forming galaxies with a complex structure including disks, lumps and bumps and desordenados- massive red galaxies that no longer form stars, as seen in the nearby Universe . Or more such massive galaxies like the Milky Way are quite rare in the young Universe. This shortage has prevented previous studies could muster a large enough sample of mature galaxies to adequately describe its characteristics. What was needed was a systematic set of observations, such as the Hubble CANDELS survey, which was large enough to allow astronomers to analyze a greater number of these galaxies consistently and detailed . With the Wide Field Camera 3 (WFC3) Hubble, astronomers were able to observe in the infrared part of the spectrum to see how galaxies appeared in the frame visible  rest, which is easier to compare galaxies in our neighborhood. Previous studies have analyzed the proportions of the different types of galaxies in time (heic1002). Mixing spiral, elliptical, lenticular galaxies peculiar is different today, with many more peculiar in the distant universe we see around. 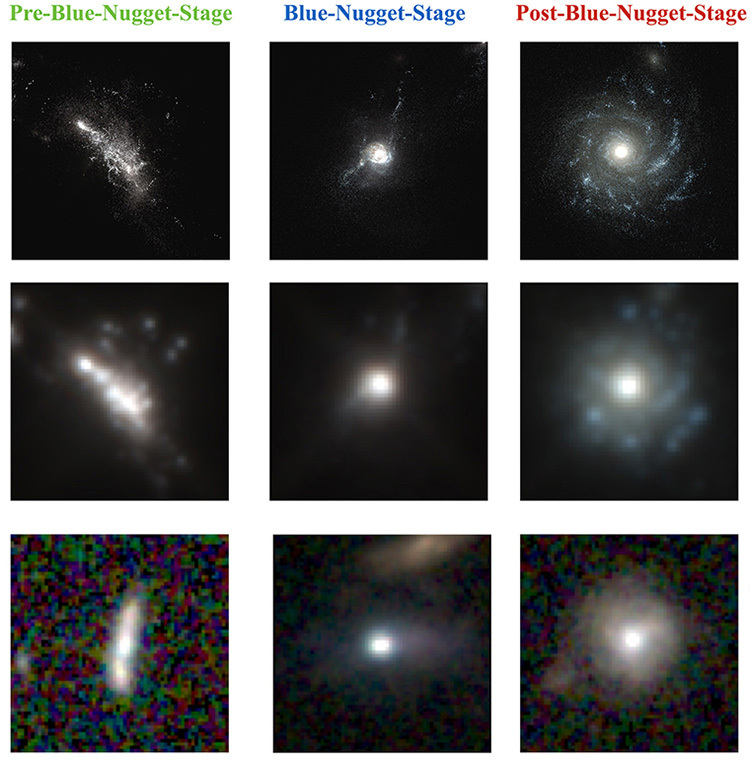 In a recent article related, Alice Mortlock and his colleagues took a different but complementary to classify these distant galaxies by visual inspection approach. They found that the types of galaxies seen in the Hubble sequence are well defined in terms of color, structure and star formation rates at very large distances from us, but its morphology is still developing. While the morphology of a galaxy may be the final settling property, the fundamentals of the Hubble sequence are set much earlier. CANDELS, the Cosmic Assembly Near-infrared Deep Extragalactic Legacy Survey is the largest project in the history of Hubble, with 902 orbits of observing time allocated. It is being carried out with two cameras aboard Hubble – WFC3 and ACS – and aims to explore the galaxy evolution in the early Universe and the first seeds of cosmic structure less than a billion years after the Big Bang. Previous studies of this period of cosmic history were inconclusive because they were limited to visible light, showing only the ultraviolet emission from galaxies, which highlights the formation of stars. As this star formation dominated observations, galaxies appeared to be lumpy and disordered, without any resemblance to the galactic forms we see around us today. Pushing in the infrared part of the spectrum astronomers could observe how these distant galaxies appear in the visible part of the rest (now redshifted). These results are described in an article entitled “CANDELS: The correlation between the morphology of galaxies and star formation activity as Z ~ 2”, to appear in The Astrophysical Journal. The international team of astronomers in this study consists of B. Lee (University of Massachusetts, USA), M. Giavalisco (University of Massachusetts, USA), CC Williams (University of Massachusetts, USA .S. ), Y. Guo (United States), J. Lotz (Institute of Space Telescope Science, Baltimore, USA), A. van der Wel (Max Planck Institute for Astronomy, Heidelberg, Germany), HC Ferguson (Institute of Space Telescope Science, Baltimore, S. M Faber (University of California, USA), A. Koekemoer (Institute of Space Telescope Science, Baltimore, USA), N. Grogin (Institute Space Telescope, Baltimore, USA), D. Kocevski (University of Kentucky, CJ Conselice (University of Nottingham, UK), S. Wuyts (Max Planck Institute for Extraterrestrial Physics, Garching, Germany), Science A. Dekel (Hebrew University, Israel), J. Kartaltepe (NOAO-Tuscon, Arizona, EF Bell (University of Michigan, USA). The VIMOS UltraDeep Survey (short: VUDS) is an observational program to gain spectroscopic measurements for ~10,000 galaxies at high redshift, when the Universe was only between 1- 3 billion years old (today, the Universe is 13.8 billion years old). This is a particularly interesting era to study in terms of galaxy evolution since astronomers expect galaxies at that epoch to look very different from today. For example, at that early time we observe that galaxies have a much more disturbed morphology compared to the beautiful structured spiral galaxies or smooth elliptical galaxies that we see in the local Universe. We expect that galaxies formed many more stars at that time partly triggered by disturbances from the merging of galaxies but also because more gas was still available to form stars in those galaxies. The time between redshift 2 to 6 (i.e. the first 1-3 billion years of the Universe’s age) is thus a major epoch of galaxy assembly. With CANDELS, galaxies in that epoch are studied mostly based on photometry, meaning images taken at different wavelengths. We described in earlier blog posts how with photometry at many different wavelengths astronomers are able to study the properties of galaxies through comparing the observed data to model galaxy spectra. With VUDS galaxy evolution is approached from the spectroscopic side. A spectrum of an object is created by dispersing all its emitted light by directing it through a disperser like a prism, meaning the light is split up according to its wavelength. An easy example is the creation of a rainbow where the light from the sun hits raindrops in the air which act as dispersers and split the originally “white” sunlight up by wavelength, creating the typical coloured stripes. Such spectra allow us to study the properties of galaxies in much more detail compared to the study of images alone. The VUDS survey covers about 1 square degree in the sky. As a comparison the diameter of the full moon is about 0.5 degrees and its area is ~0.2 square degrees, which means it’s a fifth of the area covered by the VUDS survey. However, this 1 square degree of area of the VUDS survey is split over 3 separate fields in the sky that have been observed with a lot of different instruments and at many wavelengths already, creating a unique and precious data set for astronomers to carry out their studies. The three fields are the COSMOS field (which overlaps with the CANDELS-COSMOS field), the Extended-Chandra Deep Field South (which overlaps with the CANDELS-GOODS-South field) and the VVDS-2h field. Within those 3 fields spectra of ~10,000 galaxies were taken with the VIMOS multi-object spectrograph at the Very Large Telescope (VLT) in Chile (Figure 1). We described how multi-object spectroscopy works in more detail in this recent post. In short, suffice it to say that with that instrument, astronomers are able to take a spectrum of many galaxies at the same time. VUDS is the largest spectroscopic survey of galaxies at these early cosmic times. Two of the 3 fields covered by VUDS overlap with the CANDELS area. The spectra and spectroscopic redshifts in that overlap area (~ 700 galaxies) were just publicly released by the VUDS team. For the VUDS survey, the objects which were targeted for the spectroscopy, were selected primarily based on their redshift as derived purely from photometry (again, see this blog post here). Additionally, some sources were added based on their photometric colours (i.e. the difference in brightness between two wavelength bands) which indicate a high redshift. These objects were then observed with two different grisms — one for the blue wavelength end and one for the red wavelength end – for about 14 hours each. The resulting spectra cover a wavelength range from the blue optical to the very red optical. This means that for these high-redshift galaxies, we really observed their ultra-violet to blue optical wavelength range which are shifted due to the redshift into the optical wavelength range covered by the VIMOS instrument. This wavelength range reveals many properties of galaxies, especially with regard to their star formation. In Figure 2 we show you a stacked spectrum of some VUDS sources in which also the spectral lines are indicated. In Figure 3 you can see all the spectra of the VUDS survey compiled into a picture and sorted by redshift, where each line represents one spectrum. Emission and absorption lines in this image are nicely visible in this as bright and dark lines that stretch across the image from left bottom to top right. This also illustrates how spectral features are redshifted towards redder wavelengths. The most common spectral lines and features in these spectra are the Hydrogen Lyman-alpha, Lyman-beta and Lyman-gamma lines, the Lyman limit (below which almost all emission is absorbed by neutral Hydrogen around newly formed stars), the Carbon lines (CII, CIII and CIV, where the Roman numbers behind the letters indicate the ionization level of the element) and lines from Helium (He), Oxygen (O), Silicon (Si) and Aluminium (Al). These lines are used not only to determine the spectroscopic redshift of these galaxies (i.e., through their known rest-frame wavelength), but also other galaxy properties such as star formation and chemical composition of the galaxies. Overall in VUDS we were able to determine reliable spectroscopic redshifts for ~6000 galaxies which cover a large range of brightnesses and stellar masses. Some of the galaxies in this survey form up to 1000 solar masses per year! Since the completion of the observations, many researchers in the international VUDS team work on all aspects of galaxy formation and evolution, from morphology to identifying proto-galaxy-clusters and groups, from studying the ultra-violet spectroscopic properties of very young galaxies to the merging history of the Universe, in alignment with the science goals of the overall survey. If you are interested in following the results from the VUDS survey, you can find our Facebook page here and our Twitter account here. In a previous post we wrote about the morphology of a galaxy’s star light. Most galaxies have matter that we can see in 3 forms: stars, gas, and dust. Figure 1: M51 at optical wavelengths of light. Credit: NASA, ESA, S. Beckwith (STScI), and The Hubble Heritage Team (STScI/AURA). Figure 1 shows a picture of M51 at optical wavelengths of light. The yellow, red, and blue parts of the picture are the regions hosting M51’s stars which are visible to us. Along the spiral arms we also see dark structures. The dark parts of the picture are the regions hosting M51’s stars which are invisible to us — the stars which are obscured by dust. Dust grains in M51 absorb light from these stars and reemit that light at infrared wavelengths. Figure 2 shows a picture of M51 at an infrared wavelength of light. The spiral arms in the infrared picture line up with the dark structure in the optical picture. We know where the dust is in M51. What about the dust in other galaxies? As we study galaxies that are further and further away from our own, we lose information on where the dust n these galaxies is. Infrared telescopes cannot produce pictures of a distant galaxy at the same resolution as pictures of M51. We can guess at where the dust is by looking at dark structures in pictures at optical wavelengths. Your eye is good at picking out dark structures in a many-color image. What is a dark structure in a two-color image? Figure 3: a cropped and zoomed-in view of M51 at optical wavelengths of light. Credit: NASA, ESA, S. Beckwith (STScI),and The Hubble Heritage Team (STScI/AURA). Figure 3 shows a zoomed in picture of M51. The dark structure is black in many places. In many other places the dark structure is adjacent to a red spot, a spot missing blue and yellow colors. Dust grains in M51 are good at obscuring blue and yellow light and less good at obscuring red light. If we measure the brightness of a spot in a red image, and the brightness at the same location in a blue image, many galaxies will have the same ratio between those brightnesses. The ratio comes from two aspects of the dust: the sizes of the grains and the number of grains. A dark structure in a distant galaxy might be a red spot with a weak blue spot. The red color in the image of M51 is due to light from Hydrogen atoms. The Hubble Space Telescope [HST] has an instrument allowing us to see the light from Hydrogen atoms in distant galaxies; it has another instrument allowing us to see blue light from distant galaxies. I wrote a paper using CANDELS data to compare the brightnesses of the light at the two wavelengths. We conclude that we need more data! The ratio of brightnesses between red spots and blue spots for distant galaxies is different from the ratio for local galaxies. Dust grains in distant galaxies might have different sizes compared to their sizes in M51, which would make them more or less good at obscuring red light compared to how they obscure blue and yellow light. We cannot distinguish between this hypothesis and the one saying that the number of grains differs. Until about 400,000 years after the Big Bang, the Universe was mostly full of electrons and protons, zipping in random directions. It was only when the Universe cooled down enough, because of expansion, that electrons and protons had a chance to combine to form neutral hydrogen (the lightest element in the Universe) for the first time. This epoch is known as the epoch of recombination. The Universe then enters and remains in what we call the Dark Ages until the formation of the first luminous sources — first stars, first galaxies, quasars, and so on. During this period, the Universe was full of neutral hydrogen, and thus completely opaque to any ultra-violet (UV) radiation because neutral hydrogen is very efficient at absorbing UV radiation. Intense UV ionizing photons from the first stars and first galaxies then start to ionize their surrounding, forming ionized bubbles. These bubbles grow with time, and eventually the entire Universe was filled with ionized bubbles. The epoch during which this change of phase or transition occurred i.e., the ionization of most of the neutral hydrogen to ionized hydrogen — is called the epoch of reionization (see Figure below). This was the last major transition in the history of the Universe, and had a significant impact on the large scale structure of the Universe. Therefore, this is one of the frontier research areas in modern observational cosmology. Time line history of the Universe from Big Bang (left) to the present day Universe (right). Before the process of reionization, the Universe was completely filled with neutral hydrogen. It is only after the formation of first sources including first stars, first galaxies, that the neutral hydrogen in the Universe started ionizing, and by about one billion years after the Big Bang, most of the neutral hydrogen in the Universe was vaporized marking the end of the epoch of reionization (Image credit: NASA, ESA, A. Fields (STScI). 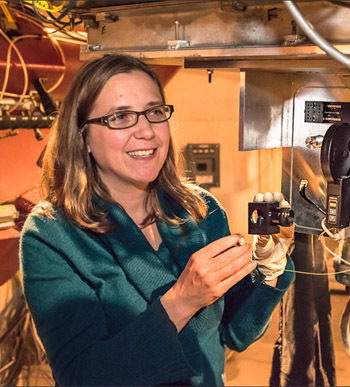 One of the most powerful and practical tools to probe the epoch of reionization is the Lyman-alpha emission test. Lyman-alpha photons are a n=2 to n=1 transition in neutral hydrogen which emits a photon with a wavelength of lambda=1215.67 Angstroms. In the presence of neutral hydrogen, Lyman-alpha photons are scattered again and again and eventually many of the Lyman-alpha photons are scattered away form our line of sight . As a result, we expect to see fewer and fewer galaxies with Lyman-alpha emission as we probe higher and higher redshifts (closer to the Big Bang). To study the epoch of reionization, we did exactly this using a large sample of very distant (high-redshift) galaxy candidates selected from the Hubble Space Telescope (HST) CANDELS survey — the largest galaxy survey ever undertaken using HST. To know the exact distance of a galaxy, it is critical to obtain spectroscopic observations of these galaxies. 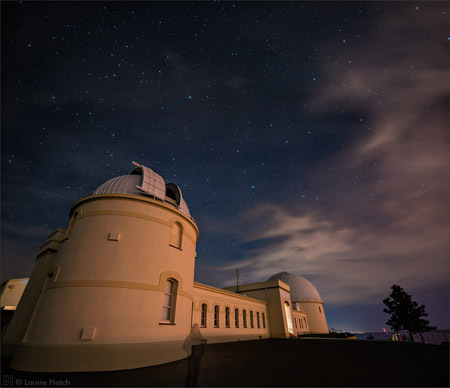 We did this using a near-infrared spectrograph, MOSFIRE, on the Keck Telescope located at 13,000 ft on top of Mauna Kea, a dormant-volcano mountain in Hawaii. To our surprise, we discovered that most of the galaxies we observed did not show Lyman-alpha emission. The figure below shows our results combined with previous studies. This figure shows the Lyman-alpha equivalent width, the ratio of strength of Lyman-alpha emission from a galaxy to its underlying blue stellar light continuum (non Lyman-alpha light), as a function of redshift (or age of the Universe on the top axis), as we probe closer and closer to the Big Bang. As can be seen, there are fewer galaxies, and at the same time the strength of Lyman-alpha emission also decreases as we go to higher redshifts. While this can be a result of a few different things, upon careful inspection, we think that this is likely because of the Universe becoming more neutral as we go beyond redshift ~7, and we are witnessing the epoch of reionization in-progress. This Figure shows the evolution of strength of Lyman-alpha emission in galaxies, as we get closer and closer to the Big Bang. As can be seen, the strength of Lyman-alpha emission appears to be decreasing or in other words we are missing vetry strong Lyman-alpha emitting galaxies as we go towards higher redshifts. This is likely a consequence of increasing neutral hydrogen, as expected from theoretical studies (Image credit: Tilvi et al 2014). Currently, Lyman-alpha emission provides the best tool to discover and confirm very distant galaxies. While there are a few other emission lines that could be used to confirm distance to a galaxy, their strengths compared to the Lyman-alpha emission is much weaker. Despite this, we have made quite a significant progress in understanding the first billion years of the Universe. The figure below shows the summary of progress astronomers have made over the past few years, understanding the transition of Universe from a completely neutral to an ionized phase. Below redshift of about 6, that is about 1 billion years after the Big Bang, the Universe is almost completely full of ionized hydrogen—only one part in 10,000 is neutral. At redshifts greater than 6, the Universe becomes more and more neutral. The James Webb Space Telescope (JWST) will be very instrumental in discovering galaxies within the first 600 Myrs, and will help us gain even more insight into the details of the crucial epoch. This figure shows the evolution of neutral hydrogen fraction as a function of redshift (or age of the Universe shown on top axis). Only one part in 10,000 is neutral below redshift of about 6 which implies that the Universe is mostly ionized and the process of reionization has occurred at redshifts greater than six, where the Universe is becoming increasingly neutral (Image credit: V. Tilvi). Tags: Astronomy ( 7,556 ), Basic Research ( 10,450 ), CANDELS, Galaxy transformation. When we look at galaxies out in the universe, we find that they come in many different types. Some galaxies have beautiful spiral structure (see Figure 1), while others look like irregular blobs of stars and gas. Still others look like featureless spheres of light (see Figure 2). These galaxies aren’t only different in appearance, however. We find that we can separate galaxies into broad classes based not only on their shape (or morphology), but also on their stellar mass and how quickly they are forming stars (their star formation rate, or SFR). We find that galaxies with disky morphologies, such as the spiral galaxies mentioned above, tend to be relatively star-forming compared to galaxies with more elliptical morphologies, which appear smooth, round, and featureless and are often no longer forming stars. Since morphology and star formation rate often appear to be correlated in this way, it has been suggested by many that perhaps the processes responsible for shutting off star formation in galaxies are also associated with the formation of an elliptical component, called a “bulge.” One such process for shutting off star formation is AGN feedback, which is the name for when a supermassive black hole at the center of a galaxy affects the galaxy around it. When a supermassive black hole accretes material, large amounts of energy are released from the regions near the black hole, which can then heat up or drive out gas from the surrounding galaxy by launching winds or relativistic jets of plasma. The gas that is driven out or heated up is then no longer available to form stars, so the galaxy becomes “quiescent,” which is the term we use for galaxies which have stopped forming stars. So how does the morphology of the galaxy change, and what triggers the AGN feedback? Here we rely on galaxy mergers and disk instabilities to drive material toward the center of a galaxy in order to both build a bulge component and feed the central supermassive black hole. During a galaxy merger, gas will be driven toward the center of the merger remnant, whereas a disk instability will lead to material being moved to the center of an isolated disk galaxy. In either case, the result is a galaxy with a significant bulge component that is no longer forming stars. In order to test these ideas, we implemented a merger and disk instability-based AGN feedback prescription in our semi-analytic model (SAM) of galaxy formation and evolution in order to see how well we could reproduce the fraction of galaxies that are star-forming and disk-dominated (SFD) or quiescent and spheroid-dominated (QS) as compared with data from the CANDELS survey (as well as a local sample of galaxies from the GAMA survey). SAMs are a type of simulation which model large numbers of galaxies over the history of the universe. Our SAM evolves a cosmological sample of galaxies forward in time with relatively simple prescriptions for physical processes like the hierarchical growth of structure formation due to the merging of dark matter halos, the heating and cooling of gas, star formation, stellar evolution, supernovae, chemical enrichment of galactic and intergalactic gas, AGN feedback, and starbursts and morphological transformation due to galaxy mergers and disk instabilities. We divided galaxies based on their specific star formation rates (star formation rate divided by stellar mass) and their Sersic index, which is a measure of morphology. A Sersic index of 1 indicates a pure disk, while a Sersic index of 4 indicates a pure bulge. The distribution of galaxies in this plane, as well as our dividing lines for a few of our redshift bins, can be seen in Figure 4. By focusing on this plane, we also found ourselves studying the more “outlying populations”: star-forming and spheroid-dominated (SFS) and quiescent and disk-dominated (QD). These populations are more rare but must still be explained by our evolutionary models. Fig 4: Galaxies in three different redshift bins being split into the four quadrants of the specific star formation rate- morphology plane. On the left are galaxies from our model and on the right are observed galaxies. The greyscale 2D histogram and contours indicate the density of galaxies across the plane. In Figure 5, we can see the evolution of the fraction of galaxies in each of these four populations for both our model and the observations. Our model, which includes disk instabilities as a driver of bulge formation and AGN feedback, reproduces the fraction of SFDs and QSs much better than our model with a merger-only picture. Meanwhile, we reproduce the rough fractions of SFSs and QDs, although we do not quite match how the fractions evolve. Our model suggests that SFDs are galaxies which have had very quiet histories; they’ve avoided major mergers and if they have ever been disturbed, they were able to accrete new gas and continue forming stars. QSs, on the other hand, are very likely to have undergone at least one major merger, or perhaps very many minor mergers, which built up a large bulge component and triggered AGN feedback, eventually leading to the cessation of star formation. SFSs in our model are a very short-lived population, the result of a recent merger which has led to bulge formation and a post-trauma starburst. These are likely soon to experience AGN feedback which will transform them into QSs. Finally, QDs are the result of SFDs which have stopped accreting new gas (perhaps due to environmental effects) or are very large and extended, causing their gas not to be dense enough to form stars. Fig 5: The fraction of galaxies in each of the four populations. The solid black line represents the observations, while the dashed red line represents our primary model which includes AGN feedback and bulge formation triggered by both mergers and disk instabilities. The dotted blue line represents our model which only includes mergers. While we do not match the evolution of these populations exactly, it seems we are beginning to be able to capture the very complicated processes responsible for the diverse galaxy population we see all around us. In this loooong overdue post, I’m going to talk about what happened following the events of my previous post. In that post, I talked about how my research team and I used the Keck 10 meter telescope to obtain spectroscopy of 43 distant galaxies. To briefly recap, my group and I have been using CANDELS images to search for very distant galaxies (those that we see as they were within one billion years of the Big Bang, which gives them a redshift greater than 6). In a few previous posts, I’ve talked about some of the exciting things we’ve been learning in the distant universe, including how these galaxies get redder with time (as they build up their heavy elements; i.e. planet-making material), and whether galaxies can account for the reionization of the universe (yes! we think). In this previous post, we talked about how we use images to find these galaxies – essentially, since they are so far away, they are moving very quickly away from us, thus their light is redshifted due to the Doppler effect. Ideally, you would take a spectrum of every galaxy to search for redshifted emission lines to measure your redshift. However, this is impractical for samples of hundreds or thousands of galaxies. On the bright side, we can get a rough estimate of the redshift using imaging alone, and this technique has been well-documented over the past ~20 years. The downside of this is that 1) the redshift is only approximate, and that makes everything else you learn a little more uncertain; and 2) its possible that some galaxies you think are really distant are actually close by galaxies that just happen to be very red. To get around this, we typically try to take spectra of a small portion of our sample, to verify that our contamination is small. Fast forward, and this is why we went to Keck, to try to measure the redshifts for many of our distant galaxy candidates. As I looked at the data we took at Keck, we found a very bright emission line from one of our distant galaxy candidates before we even left Hawaii. This left me feeling very optimistic! However, as we continued to analyze our data, we found that the first line we saw would be the only line we would see – out of the 43 observed galaxies, we detected an emission line from only a single one. This may seem like a failure, but lets examine our detected galaxy a little more closely. This image shows a region of the CANDELS GOODS-North field, just above the handle of the Big Dippler. Highlighted is z8_GND_5296, the most distant spectroscopically confirmed galaxy in the universe. The galaxy looks very red in this image, as it is so distant (and thus moving so quickly away from us), that it is only detected in Hubble’s reddest filters. Image Credit: V. Tilvi, S. Finkelstein, C. Papovich, A. Koekemoer, CANDELS and STScI/NASA. The emission line we saw was the Lyman alpha line from hydrogen. This line is emitted in the ultraviolet, but we saw it all the way in the infrared, meaning that it has a very high redshift. In fact, the measured redshift of this galaxy is 7.5, making it the highest redshift spectroscopically confirmed galaxy*** (the previous record was at 7.2). That’s exciting in itself, but the galaxy had more in store for us. Using how bright it is in the CANDELS imaging, we can measure how fast this galaxy is converting hydrogen gas into new stars, and we found that its “star-formation rate” is an insane 300 solar masses per year; this is 150 times faster than the Milky Way!!! From what we (thought we) knew at high redshift, if you found a random redshift seven galaxy, you would have expected it to be forming stars at around 10 solar masses per year, so this galaxy is forming stars 30 times faster than its peers. Our spectrum from the MOSFIRE spectrograph on the Keck 10 meter telescope. The white blob in the top panel shows Lyman alpha emission from z8_GND_5296. corresponding to Lyman-alpha emission (highlighted by the red line). subtract completely, because their intensity changes rapidly with time. Not only has this level of star factory not been seen at these redshifts before, but it was also a complete surprise to theorists, who do not see such galaxies in their models. While this galaxy could just be a weirdo, we don’t think thats the case. The previous record redshift holder I mentioned, at z=7.2, has a star-formation rate of 100 solar masses per year. Smaller, yes, but still very high. And, it is located in the same region of the sky as our galaxy. What are the odds?!? What we think we’re learning is that these extreme star factories are much more common in the early universe than previously thought, so now we need to get with our theorist friends and try to figure out why that is. As for the other 42 galaxies we didn’t see? The jury is still out. It may be that the gas between galaxies is becoming neutral (as would happen if we’re entering the epoch of reionization), and this neutral gas “fog” is screening us from seeing the Lyman alpha photons. Or, it could be that these distant galaxies are becoming increasingly rich in gas themselves, preventing these Lyman alpha photons from escaping. Only time and further study will tell, but we’re hot on the trail! If you’re interested in all the details, you can see our paper, which has been published in Nature, here, and our official press release, which is here. ***Often in the news there are articles about the most distant galaxies in the universe – some of these are spectroscopically confirmed like our galaxy here, while others are candidate galaxies, meaning that their redshifts have not been verified. While many of these candidates turn out to be real, measuring the redshift spectroscopically is the gold standard for galaxy distance measurements. A case in point is our recent blog post, which mentions a galaxy with a redshift of close to 11 from the CLASH survey. This galaxy has not been spectroscopically confirmed (though Hubble will try to do it in a few months). However, in the particular case of this galaxy, I think its highly likely that its real, as not only are its colors that expected of such a distant galaxy, but the positions of the lensed images are what you would expect for a galaxy at the estimated redshift. Hopefully Hubble will measure a redshift, and, if not, then we’ll have to wait a few years for the next generation of telescopes. In 2010 the Hubble Space Telescope launched three bold new initiatives that came to be called the Multi-Cycle Treasury programs. One was the CANDELS program, the parent of this blog. 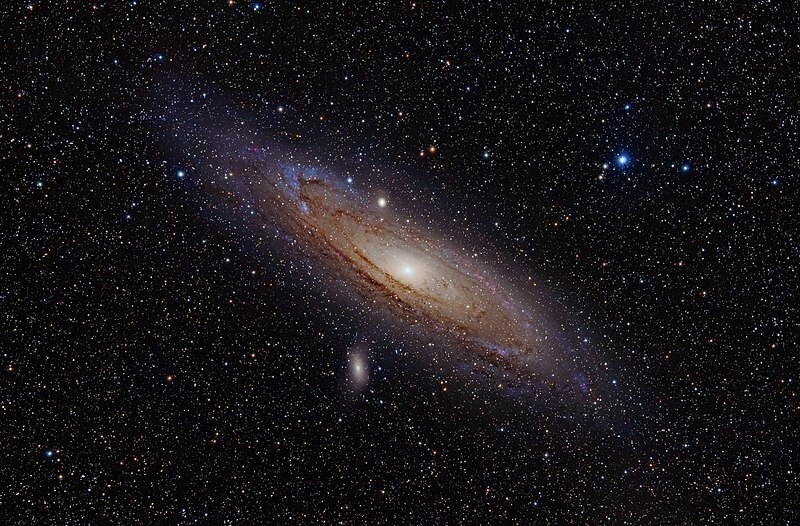 Another was the Panchromatic Hubble Andromeda Treasury program (PHAT), a deep and detailed study of the nearby galaxy M31 [Andromeda Galaxy], led by Julianne Dalcanton of the University of Washington. The third program was called CLASH: the Cluster Lensing And Supernova survey with Hubble (tortured acronyms were a prerequisite for approval of the HST time). The CLASH team (not to be confused with The Clash) is led by Marc Postman from the Space Telescope Science Institute, and includes about 50 astronomers at some 25 institutions around the world. This survey is in many ways a close sister to the CANDELS program, and indeed there is significant overlap across the two groups, especially in the supernova search component, which has been a joint CLASH+CANDELS effort. The CLASH program takes a deep look at 25 massive galaxy clusters. These are collections of galaxies (a few hundred in each), hot gas (heated to above 10 million degrees), and dark matter (more on that mysterious stuff below). The clusters in the CLASH sample sit at redshifts between about 0.2 and 0.9, so we are seeing them at a fairly recent epoch in terms of cosmic history (the universe was already more than 6 billion years old when the light we see left these clusters). Several of these clusters have been studied in great detail, but the CLASH program has opened up a new window to look in at one of the great mysteries of the universe: the nature of dark matter. When Hubble looks at a galaxy cluster in the CLASH survey, it captures the ultraviolet, optical, and infrared light emitted by billions upon billions of stars in the many galaxies that live within the cluster. Astronomers have long known, however, that these stars make up only a small fraction of the total contents of these clusters. Far more important is the hot gas in the Intra-Cluster Medium (ICM). This superheated gas (mostly Hydrogen and Helium) has been stripped away from the galaxies by tidal gravitational forces and the effects of ram pressure. The gas is so hot that it emits x-ray radiation, which can be observed using x-ray observatories like Chandra and XMM-Newton. The mass of gas in a typical galaxy cluster is almost 10 times greater than the total mass of all the stars in all the member galaxies. However, even after counting up all of the stars and gas, we still have only captured about 10% of the total mass of the galaxy cluster. The other 90% is (presumably) in the form of dark matter. “Dark matter” is the name we assign to all the mass in the universe that does not emit any light. There are a number of theories as to what this dark matter could be, and the most promising idea right now seems to be that it is some form of elementary particle that does not interact with other matter — except through the force of gravity. In galaxy clusters, we have two primary lines of evidence that reveal the presence of a large concentration of dark matter. First, the motions of the galaxies in the cluster show that there must be a large central mass pulling the galaxies in and through the cluster (more mass than we can account for in stars and gas). Second, we see the effect of the dark matter on background galaxies through gravitational lensing. Einstein’s theory of relativity tells us that the force of gravity is in fact a warping of spacetime. This distortion of the fabric of our universe affects all forms of matter — as we see in the motions of planets, stars and galaxies — and it also affects light itself. In the CLASH clusters, the warping is sufficiently strong to bend the pathway of light rays passing through the cluster. This results in a lensing effect, as light rays are distorted and redirected such that they focus on our location here in the Milky Way. 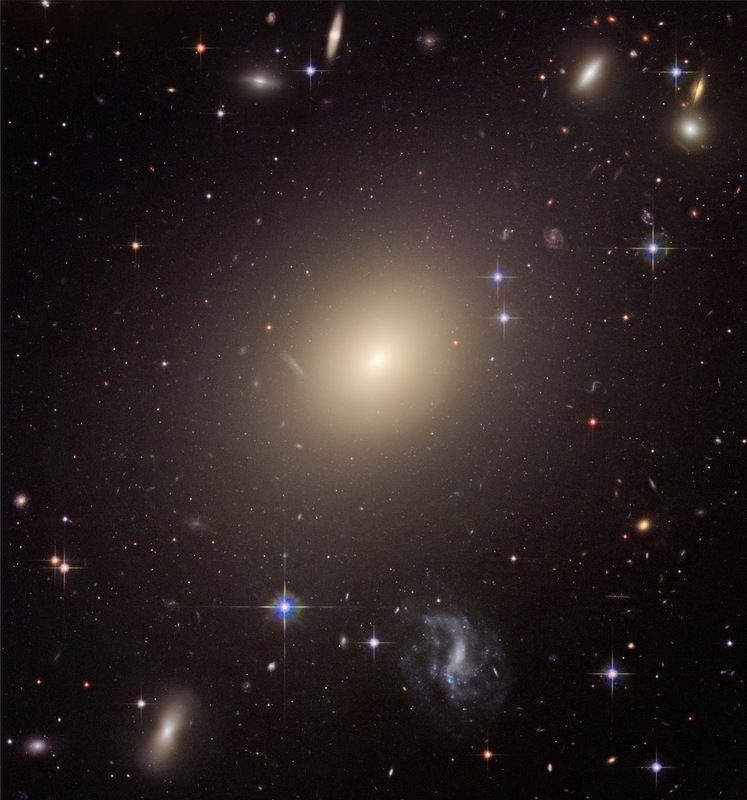 We see the extraordinary evidence for this lensing in the form of absurdly stretched galaxies, long arcs, and impossibly bright background sources that have been distorted and magnified by the cluster’s gravitational lens. The principal aim of the CLASH program is to use these lensing artifacts to construct detailed models of the matter content of each of the 25 clusters. The cluster models are built by piecing together these distorted background sources to make a map of the dark matter that Hubble cannot see. Adding in evidence from the star light and the x-ray gas emission provides a complete picture of all the content in the cluster. With all of this information, the CLASH team has been able to improve our understanding of how these clusters are formed, and even to put new constraints on the nature of the dark matter fluid that dominates the cluster. The gravitational lenses in the CLASH clusters also provide a powerful tool for looking back into the very early universe. The CLASH team has twice discovered objects behind the gravitational clusters that are among the most distant galaxies ever seen, first in April 2012, and then again in November 2012. These very distant background sources would normally be far too faint for even Hubble to see, but the intervening cluster acts like a natural telescope, focusing the light from the far-off galaxies so that Hubble can just barely detect them. The science work of the CLASH team is still in progress, and we expect many more exciting discoveries are yet to come. Hubble is not done with deep galaxy cluster surveys, either, as the new Frontier Fields initiative has already begun to follow in the footsteps of CLASH. Reblogged this on Laura Daltry's Imagination Blog. The quest for finding the first galaxies is motivated by at least two main goals: 1) these galaxies are likely the building blocks for present-day galaxies, and 2) they are responsible for making the Universe transparent to light, a period commonly referred to as the reionization epoch. This epoch is one of the most important periods in the history of the universe because it was when most of the neutral hydrogen in the Universe was evaporated. This event dramatically changed the Universe forever. Before diving into the method of searching first galaxies, here is a brief summary of what the Universe was like during the early stage of its lifetime. Immediately after the Big Bang the Universe was too hot and chaotic for electromagnetic radiations to escape. It was only after about 400,000 years that the Universe expanded and cooled enough (to about 3000 Kelvin) for free electrons to be able to combine with protons to form neutral hydrogen. Due to this attraction of electrons to protons, enough empty was created for light to escape and travel to large distances (and eventually reaching us) without bouncing back and forth, for the first time. This is what we see today as the microwave background radiation (light emitted in the microwave part of the electromagnetic spectrum). Even by this time there were no stars and no galaxies in the Universe. The Universe went into the “Dark ages” during which it was full of neutral hydrogen and we would have to wait until about 100-500 Myrs after the Big Bang for the first stars and first galaxies to form. The intense radiation from the first stars and galaxies likely ionized the neutral hydrogen and the Universe changed from an opaque to a transparent Universe. This important milestone is referred to as the “reionization epoch” which most likely occurred between 100 – 1000 Myrs after the Big Bang. Searching for the first galaxies and understanding how and exactly when did this dense fog of neutral hydrogen evaporate are among the frontiers of modern observational cosmology. See the full very interesting article here.